Days after announcing his deal with Universal Republic, Toronto crooner The Weeknd debuted the re-release of “Wicked Games,” the first single off his major-label debut Trilogy. The mixed and mastered version of ‘Wicked Games’", which originally appeared on The Weeknd's 2011 mixtape House of Balloons, feature more crisp sounding percussion and vocals, albeit with all the naughty words omitted. It's safe to say that we can start to expect to hear some edited radio/record label-friendly versions of some of The Weeknd's past work. 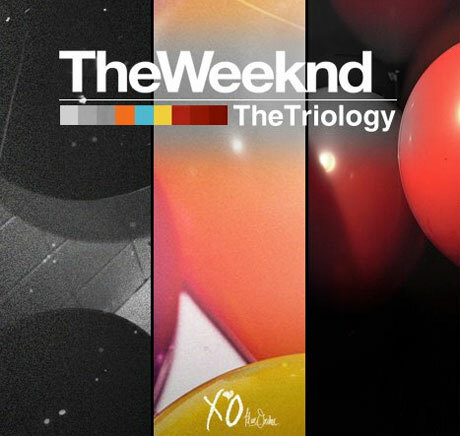 Due November 13, Trilogy will include mixed and mastered versions of cuts from previously released mixtapes House of Balloons, Thursday, and Echoes of Silence, along with three bonus tracks. Original mastering was better. House of Balloons needs nothing, perfect production. Lost some of its mellow mood. Whatever though, I'll still bump it.